Why Do They Call Fifth Wheels That? Fifth wheels, campers, motorhomes – there are so many different names for RV’s just in the United States alone. Where do all of these names come from? As an owner of an RV, I’ve done a lot of research on this, so here’s what I have to say about fifth wheels. Why do they call fifth wheels that? Fifth wheels are named for the hitch that attaches to the bed of a truck. This type of hitch is a descendant of horse-drawn carriages, but these days is simply a U-shaped mechanism that you attach to the gooseneck hitch of the RV. Of course, there’s a lot more to a fifth wheeler and its hitch than two sentences can explain. 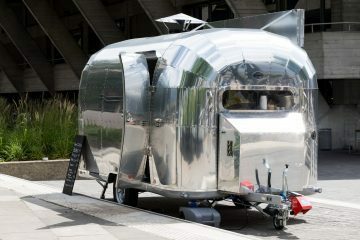 Below, I have even more information about these awesome RV’s. Believe it or not, fifth wheel RV’s have been around for a long time… sort of. The name “fifth wheel” comes from the type of hitch, or cargo attachment, that goes in the bed of a truck. Don’t confuse this with the gooseneck hitch; it’s not the same thing. I’ll explain more about the gooseneck hitch later in the next section. The cargo attachment that goes in the bed of the truck actually comes from the kind of hitch that was invented for horse-drawn carriages. It had a horizontal “wheel” or circular metal attachment of sorts that allowed the front axle (front wheels) to turn independently. Horse-drawn carriages are pretty outdated now (unless you’re on a date in a Hallmark movie or something), but the concept behind this hitch has long outlived carriages. A fifth wheel RV has a similar – but not the same – kind of hitch. Instead of a circular, wheel-like piece on the hitch, a fifth wheeler has a U-shaped piece. The shape isn’t the only difference though. Rather than placing this piece in the front axle of the wheels, it is placed, as mentioned, in the bed of the truck and the RV hitch attaches from above. This type of hitch is helpful for a couple of reasons. First of all, it minimizes swaying in the RV. It also may make hooking up the fifth wheel easier than some other RVs. 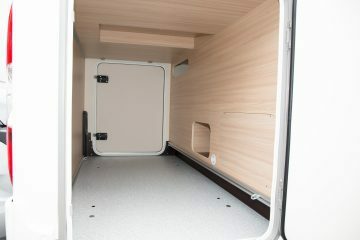 These benefits are particularly important considering the size of a fifth wheel. Fifth wheels are large RVs. You don’t get one of these spur-of-the-moment to go run around the country as a newlywed couple. 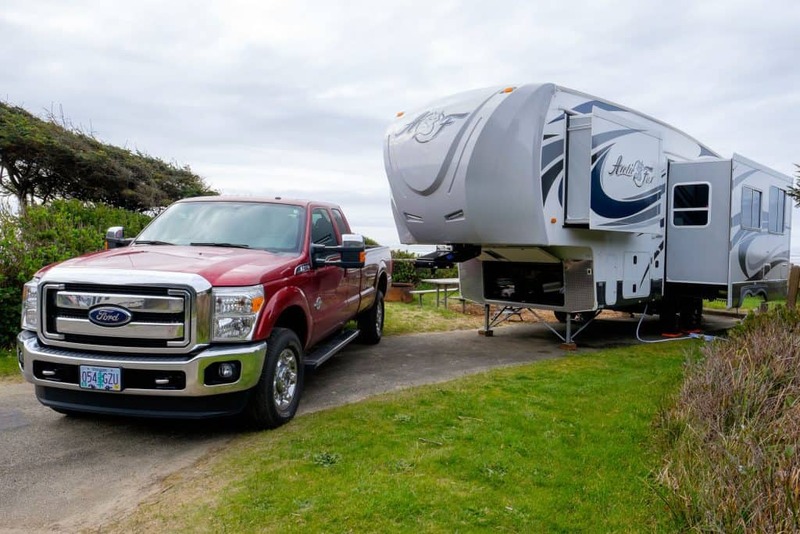 Even if you wanted to, affording a fifth wheel would be a lot harder than a teardrop trailer, so if that’s what you’re looking to do, you might want to look at other options. An average fifth wheel could be around 30′ long, but they can get up to about 40′. Don’t let the size scare you though. These babies are amazing inside. I’m talking full-sized kitchen, armchairs, dressers, big beds, the works. But for all that travel luxury, there is a price. And that price is going to hit at around $50,000. I have seen lower prices than this, but I can’t guarantee that the quality on those fifth wheelers is as great. I’ve also seen prices significantly higher than $50,000. And by significantly I mean almost $100,000 more. These are the really luxurious fifth wheels and they are really impressive… and really expensive. Now for more on the fancy hitch on fifth wheelers. So I already talked about the hitch in the truck bed. I’m going to talk about the part that attaches to the truck bed hitch. It’s called the Gooseneck hitch. And it’s actually pretty cool. This hitch extends from under the front of the RV and hooks into the truck bed hitch. The gooseneck hitch is so named for its shape. It reaches out long and curves just like the neck of a goose. Crazy, right? This hooks into the U-shape on the truck bed hitch and is secured with what’s called a kingpin. Once that is locked into place, it’s ready to go. It functions the same as the hitches on big rigs, so it is considered pretty safe. The great thing about this hitch is that it allows for a wide turning radius and ensures more stability in the fifth wheeler as you pull it. So how is this different from a ball hitch? Well, ball hitches attach to the back bumper of your car. That thing you always hit your knee on when you walk around the back of the car? Probably the ball hitch. Ball hitches are nice in that they really don’t take up a lot of space on your vehicle. They just chill there on your bumper until you’re ready to use them. You hook up an RV to a ball hitch by lowering the hood part of the hitch (the part attached to the trailer itself) over the bulb of the ball hitch. It’s lowered until it presses down on the ball hitch and then is secured with hooks and chains. So the ball hitch is more of a process to hook up than the gooseneck hitch. That alone makes the gooseneck hitch more convenient, but factoring in the safety of a trailer that hardly sways, it definitely comes out on top. The safety of fifth wheels is pretty good, considering you’re pulling a 10,000-pound vehicle behind your truck (not including the weight you add to it with your personal belongings, water, etc.). The gooseneck hitch, as I mentioned, is a big factor in this. Trailers that are pulled with ball hitches sway a lot as they are pulled. They are only attached at a tiny pivot, and if not oiled properly, won’t turn well. When the attachment is that low to the ground, things like wind can turn into a real problem. Ball hitches also require using safety chains which help hold the trailer in place as it moves so it doesn’t sway or swing around. These chains are super important for, you guessed it, safety, but do limit movement when turning. In contrast, the gooseneck hitch is high off the ground and attaches to the truck at about the same height as the centered weight of both vehicles. This helps balance the weight better and also give a higher center of gravity to better resist the wind and turns that are faced when pulling a trailer. The gooseneck hitch doesn’t allow for swaying like the ball hitch, so it doesn’t need safety chains. And even though safety chains are around for safety, fifth wheels don’t need them and have a bigger turn range because of it. It isn’t just the hitch that factors into safety though. Again, you are pulling a 10,000+ pound vehicle behind you. How do you manage that? A really important thing to consider is whether or not your truck is strong enough to do so. A gutless, old, or small truck can’t handle a 10,000 pound RV, especially when going up and down canyons. The most important thing to remember for choosing your truck is that it and the fifth wheel will balance each other in weight. If the truck meets that criteria and doesn’t have a completely wimpy engine, it should work just fine. Overall, a fifth wheel is a pretty safe RV to take on the road. If you’ve prepared and attached everything correctly, you should be just fine. Do fifth wheels sway? Fifth wheels don’t sway much, if at all. They have a different kind of hitch, called a gooseneck hitch, that makes them more steady and gives them a wider turn radius. What is the best truck to pull a fifth wheel? You want a large truck that can balance out a fifth wheeler, which weighs at least 10,000 pounds. Some good options could be a Ford F-350 Super Duty or a Ram 3500.